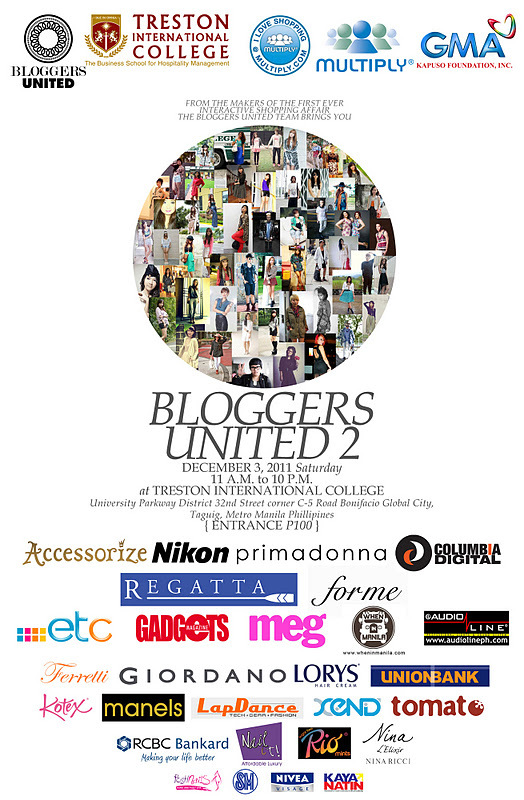 For all my beloved readers I am giving away 20 (that's right 2-0) free passes to the upcoming Bloggers United 2 next Saturday, December 3, 2011 at Treston International College in Taguig. Just make sure to follow my blog, forward me your contact info (name, email addy and mobile number) and help me promote this awesome event. I will be participating together with my FFT Family (Karl Leuterio, Mike Magallanes, Paul Jatayna, Nicole Puentevella, Kookie Buhain, Aivan Magna and Gelo Arucan). I would love to meet all my readers. So please drop by our fab booth! Extra points if you shop with us! 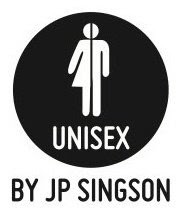 I will be selling stuff from my Unisex store and some pre-loved clothing, shoes and accessories straight from my closet. And for the ladies I will have a few items from my Mom's closet as well. 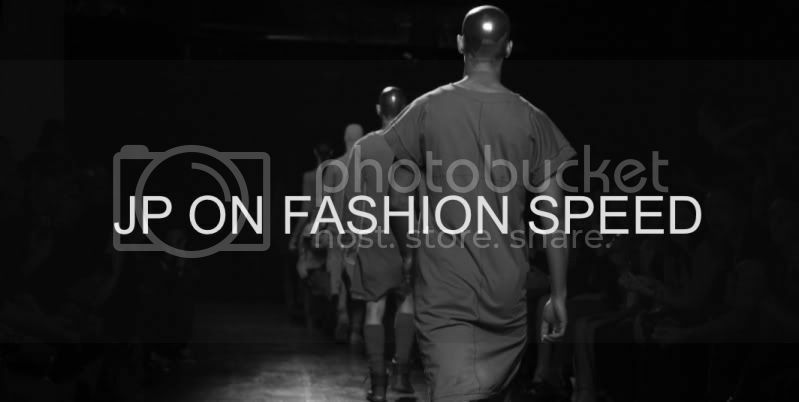 Portion of the sales will be donated to GMA Kapuso Foundation for its class building project. So don't miss this opportunity to look fab this Yuletide season while reaching out to our less fortunate brothers and sisters! Thanks for the support and hope to see everyone at this fabulous event. Special thanks to the lovely ladies, Melai Entuna, Aisa Ipac and Ana Gonzales for making this event possible! You guys rock! PS: I'M GIVING AWAY TICKETS TO ALL MY FAB READERS UNTIL NOVEMBER 29TH ONLY!!! hi, shall I leave my infos here? I'd love to come to this event. thanks. thanks! deadline of the giveaway is nov 29!! !